The past month went by in a flash – so here’s a little ‘sorry I’m late to the party’ blog post all about the wonderful Florist in Liverpool. After three days spent in the wilderness of the Yorkshire Dales, we swapped our hiking boots for something a little more dressy, ready to attend the Florist launch night in Liverpool. Despite being based in the City Centre, the Florist still soothed my wild heart with it’s wild-inspired interiors. Upon entering the former old Blind School turned boutique restaurant and cocktail bar, I was taken aback by the sheer beauty of the place. Every tiny attention to detail had been thought of to create this breath-taking venue. 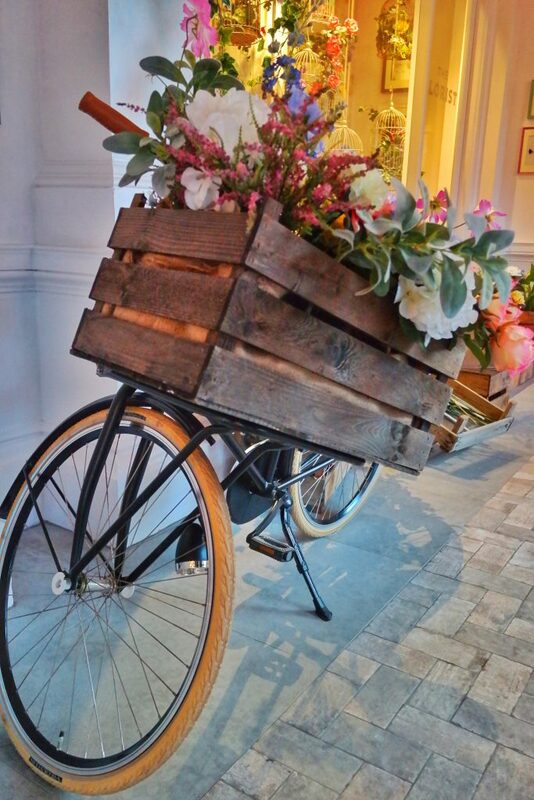 Trees, neon signs, dutch bicycles filled with flowers…you name it, they’d thought of it. 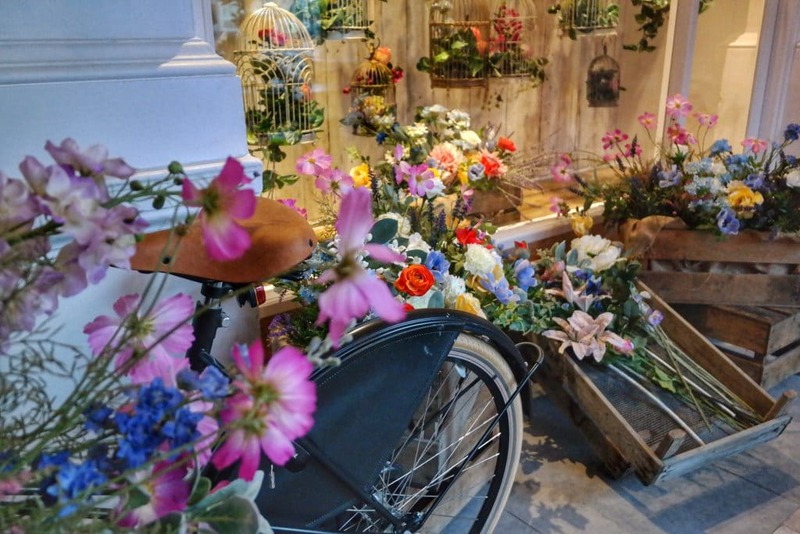 The Florist will easily top the list of most photogenic places in Liverpool. It looks as if there’s a new Instagram hotspot in town now. Throughout the night, the Florist had orchestrated a number of workshops for us all to take part in including cocktail masterclass, a floristry workshop, ale masterclass and a gin masterclass. We started the night with the ale masterclass and although I don’t really drink, it was such an interesting session. Learning all about the differences between the various types of ales. I was actually fascinated to learn that water is potentially the most important ingredient when brewing craft ales. The water in which beer is brewed can have an affect on the taste and type of beer created… it sounds simple when you think about it but hey ho, I found it was a fun fact. Moving on from the ale masterclass, we had a little wander around the venue before heading downstairs to find a quiet spot to have a quick sit down and chat whilst waiting for the next gin masterclass to start. As we sat beneath the ‘Hey there, wild thing’ neon light and floral wall, which by the way gave me serious interior envy, we nibbled on some small tasters of lavender honey and sunflower loaf with whipped goat’s cheese butter. From that single taster, I’m now dying to go back and try even more of the food. 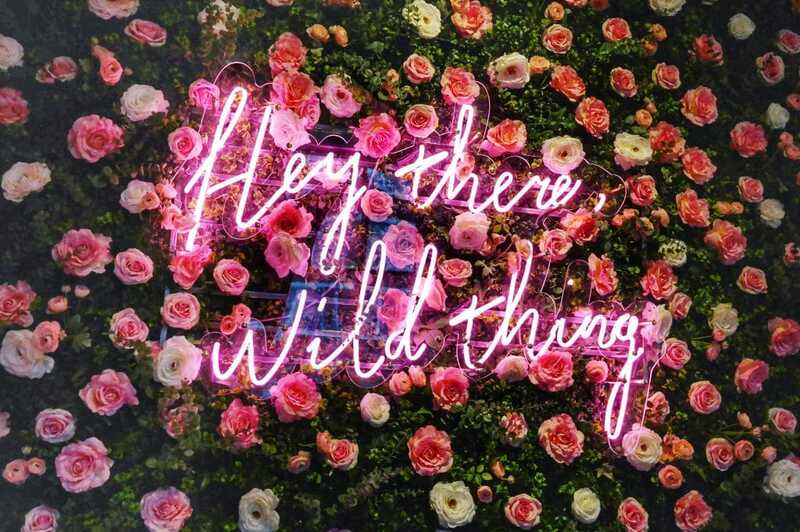 In all serious, can I please have a wild-inspired neon lights and quotes in my home with wild flowers and plants everywhere?! The gin masterclass wound up being far more intimate than we thought. This masterclass ended up being just the two of us and one half of the couple behind Manchester Gin, Seb. If you aren’t aware of Manchester Gin, they are (obviously) a Manchester based gin company. Although they may still be in the early days of their Gin life, Manchester Gin are already going from strength-to-strength, picking up awards for their botanical gins. Seb talked us through how Manchester Gin started and where they are today. He answered all of our questions from how he took the leap to starting his own business, how they decide what botanicals go together and whether they ever envisioned they’d be where they are today. Let’s just say, he left us feeling both inspired and incredibly happy for him and Jen on the growing success of their little gin company. Post-gin chat, we headed to the bar to get a couple more drinks. I opted for the rhubarb and custard mocktail, which I instantly fell in love with. Although we didn’t join the cocktail making class, you can always book to attend their cocktail masterclass to explore how the Florist mixologists create cocktails and make your own cocktail. We grabbed our drinks and enjoyed the rest of the evening listening to the live sax and chatting with others. 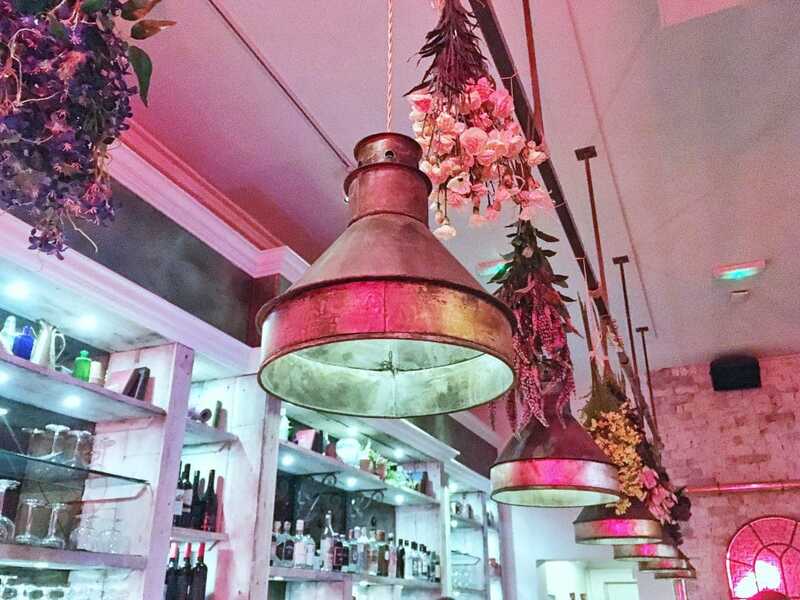 After a few hours exploring the Florist and getting a sneak-peek at all the wonderful drinks, food and masterclasses on offer at this beautiful bar and restaurant, it was time to head back home. We were meant to return to the Florist the next day for their Sunday Roast. However, the drive to and from Liverpool on the Saturday was a far more stressful task than any other liverpool trip has been so I decided to save the fuel and parking cost and took to having a productive Sunday at home. After seeing all the photos of their Sunday Roast, I regretted my decision. But, that simply means I need to book another trip to Liverpool to try their Sunday roast. 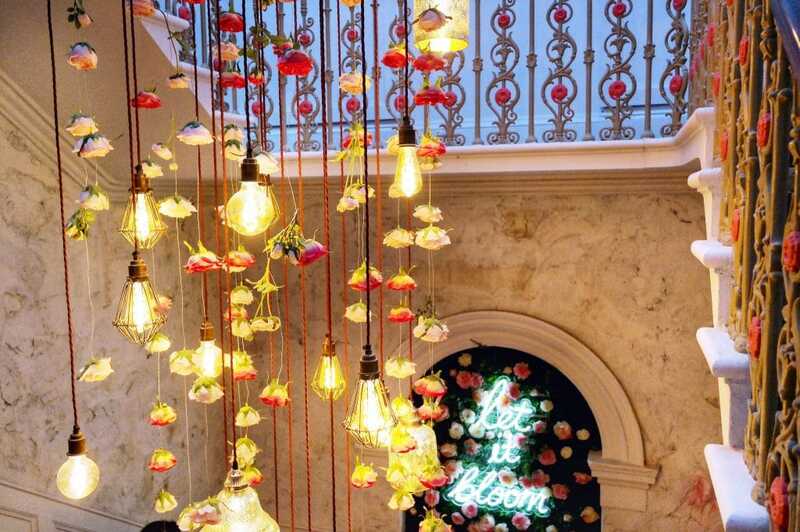 Will you be heading to Liverpool to check out the Florist bar and restaurant?